The Ink Trap: A new challenge at Kraftin' Kimmie Stamps: Love is in the Air! A new challenge at Kraftin' Kimmie Stamps: Love is in the Air! 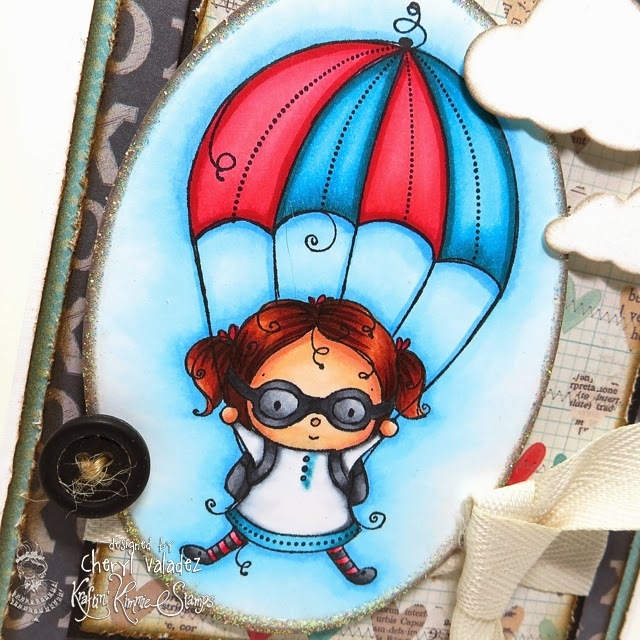 Well, welcome back for a new krafty challenge at Kraftin' Kimmie Stamps!!! This week our hostess is TRACY!! And her challenge is called LOVE IS IN THE AIR!! So create a card, scrapbook page or altered item with a Kraftin' Kimmie stamp with a lovey dovey theme!!! Join us this week because we'd LOVE to see your KKS designs. We hope you can play along for your chance to WIN some Kraftin' Kimmie rubbah!!! We've also got our FRUGAL FRIDAY SPECIALS up right NOW!! Several of our fave stamp sets are on 25-50% OFF for this weekend only!! Go check 'em out! Check out the wonderful creations by our Krafty Girls featuring this week's challenge!! For my card, I've used an adorable image from the Dream Big set. Find it in the Kraftin' Kimmie Shop along with LOTS of other awesome images! Awesome card and I adore the layout! Just awesome Cheryl!! I am loving this!! Beautifully designed card, Cheryl! Love your popped fluffy clouds. They appear to be floating above your card...like that!